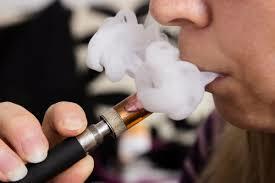 14 Mar 2019 – Youth are using e-cigarettes (also known as vaping devices) at a rapidly increasing rate — a practice that constitutes an urgent threat to public health. Preliminary survey data suggests that, for the first time in 30 years, the youth smoking rate has increased in Canada, with e-cigarettes being the suspected cause. Recent data from the Centers for Disease Control in the United States also found that 1.5 million more youth used e-cigarettes in 2018 than in 2017. As researchers in tobacco control and pediatric bioethics, we seek to protect children and youth from lifelong nicotine dependency, initiation of cigarette use and the damage to lungs associated with e-cigarette use. Governments should also mandate plain packaging for vaping devices, ban their use wherever tobacco use is banned and strictly limit the accessibility of sales to youth — placing e-cigarettes behind the pharmacy counter. Many people in the public health community had hoped that e-cigarettes would be an effective way for people to stop smoking (ourselves included). That’s because these battery-operated products deliver nicotine with fewer than the approximately 7,000 toxic chemicals in regular cigarettes. However, e-cigarettes still contain potentially harmful substances — such as heavy metals like lead, volatile organic compounds and cancer-causing agents — and evidence of vaping being an effective cessation method is limited and, in many cases, ambiguous. Research shows that most individuals (80 per cent) who attempt to quit smoking using e-cigarettes fail to do so. Of the 20 per cent who successfully quit smoking, most (80 per cent) remain active users of e-cigarettes. The evidence also suggests that rather than being smoking cessation devices for adults, e-cigarettes act as smoking initiation devices for youth. The National Academy of Sciences’ systematic review published in early 2018 found substantial evidence that e-cigarette use increases the risks that youth and young adults will starting smoking cigarettes. It also found moderate evidence that vaping “increases the frequency and intensity” of subsequent cigarette smoking. Using a cloud of misinformation, vaping companies have revolutionized the marketing of e-cigarettes and significantly increased youth vaping. What’s more, the scientific research process can be corrupted. It is telling that studies published by the e-cigarette and tobacco industry are approximately 90 times more likely to find that e-cigarettes cause no harm than those published without such conflicts of interest. Such appeal is actively cultivated by the e-cigarette industry through aggressive marketing campaigns that emphasize “lifestyle” and product design. 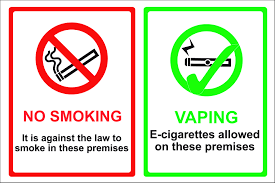 Vaping devices should also be sold in plain packaging, should be banned wherever tobacco use is banned and should be placed behind the pharmacy counter.